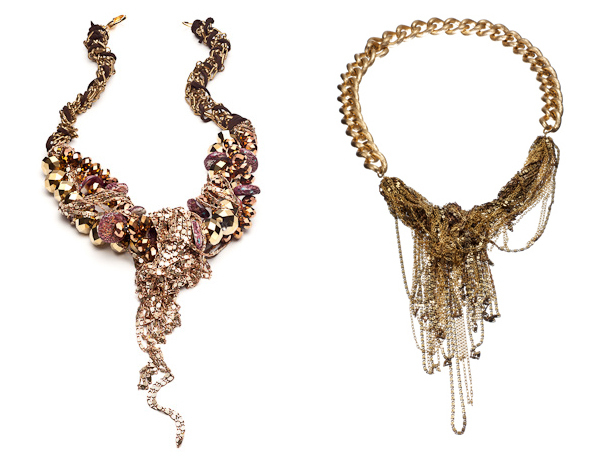 Tom Binns makes incredible hand-painted Swarovski crystal necklaces. You aren't just getting a piece of jewelry..... you're getting a statement piece. A very very stunning and colorful piece. Oh yea, they are pretty and sparkly. They will also run you a pretty penny too. So in my world of trying to look expensive without spending the extra expense (tongue twister)... you can imagine my victory dance when I came across the Spike The Punch line by Elizhyc on Etsy. Grand total savings of....drum roll please..... ALOT of cash money! This was one great 'look for less' I had to share. I've been impressed with some great DIY versions out there on other blogs. Check out a few here, here and here for some inspiration. That's also a great route to go if you're wanting a more personalized piece or if you want to use an old vintage rhinestone necklace you already have. As summer continues to lay claim in the city....[helllllo weird street smells and sauna subways] I only wish my days were filled with camp activities as opposed to 12 hour work days and playing defense against a never ending email box. Since it's apparent those summer camp days aren't returning anytime soon, at least this summer you can revisit those happier times with an arm party of friendship bracelets! Like a number of you, I'm sure I devoted my life-long friendship to a number of people over the friendship bracelet exchange.....vowed to be forever friends.....yada yada. 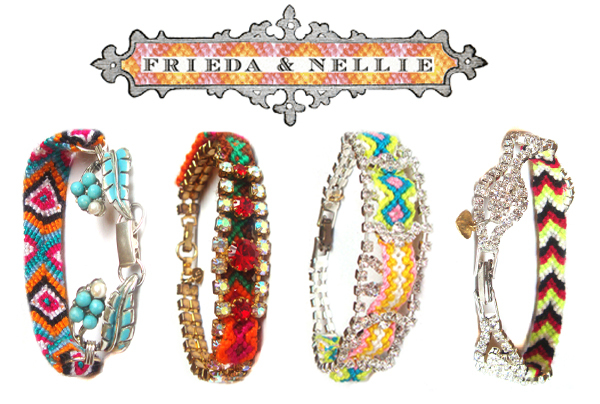 Well, wanna know something.....I'll be your forever friend for real if you gift me one of these Frieda and Nellie bracelets! 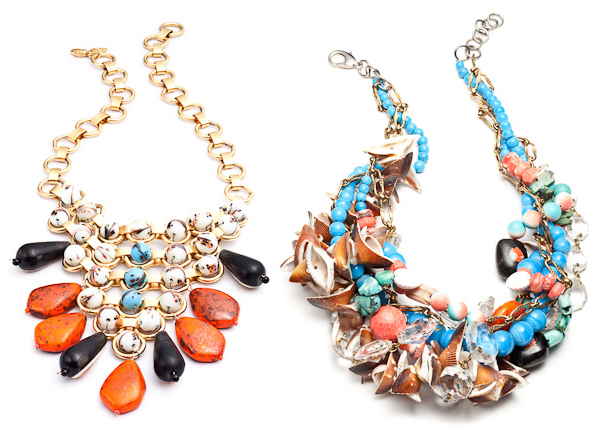 The bright colors, the bling, the vintage flare, the edgy but fun look.....yes please! Obviously, just one won't do....these gems are meant to be layered. Real life BFF's Stacy Herzog and Sarah Reid started the line after Stacy went on a vacation in late 2009 to the Galapagos Islands there were she met families making friendship bracelets. She instantly bought an arm full and returned to NYC where she layered them with old vintage cuffs from her grandmother. Realizing the combo looked amazing together, and having a great eye for accessories and design, Sarah had the idea to intertwine them together. The idea took off and the girls got to work scouring flea markets for vintage finds and weaving away! They soon found themselves written up in WWD, People, Glamour, Elle and numerous other magazines and blogs. Named after both of their grandmothers, Frieda and Nellie can be found at amazing stores like Charm & Chain, Barney's, Intermix and Henri Bendel or for the the best selection, via their online store. Each comes with an adorable name like 'Cowgirl Crazy Cool', 'Pump Up The Volume', 'Rumor Has It' and 'Southern Soiree'....just to name a few. 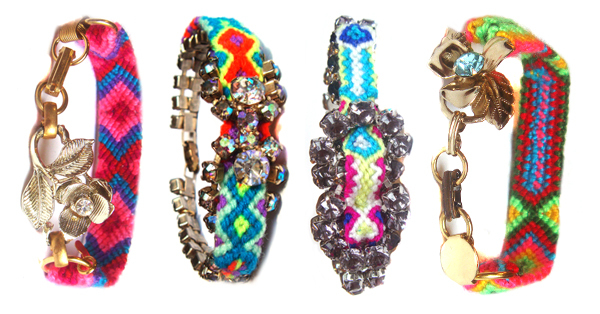 They also aren't just bracelets... there's cuffs and necklaces galore too! Which one is your favorite? Just try not to drool on your computer...or offer over your first born.....or rob a bank for these pieces. Trust me...... I already thought of all three. Again, I can't do simple jewelry [first confession here]....I mean, I probably could if something like, say, my life depended on it....but let's not get dramatic here. I think I'm missing that trigger in my mind that goes off when you're getting ready that says "overload" when I'm putting on jewelry. But apparently the "more the merrier" trigger seems to be working just fine though. Imagine my wide-eyed excitement when I clicked for the first time on the Dannijo shop. I immediately thought of how I could layer some of these necklaces together....I mean...cause why just wear one at a time? And with names like Delu, Bramley, Fitzgerald, Gia and Isadore.....the necklaces sure do take on an individual personality. Dannjio was founded by a pair of sisters from Florida. Part bohemian and part rocker....the sisters blended the two to create their current line. Every piece is handmade in New York City and they even have a men's line!